In addition to managing the amount of capital and implementing a hedging strategy, managing expiry time can be an attractive solution to manage risk management in your binary options trading. Expiry is specified as the expiration time for the option you place. This feature is very crucial, because from here traders can get certainty, whether the option chosen ends with success or failure. 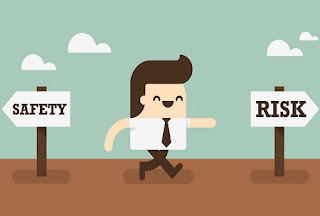 The timing of the expiration of an option is also an exit strategy in trading binary options. Besides choosing the direction of the option, placing the right expiry time is the key to successful trading. In some cases, expiry time can help traders to be more consistent in carrying out strategies based on the trading period. However, when you make an analysis error on expiry time so that the option placed is then at risk of failure, nothing can be done except waiting for the expiry time to arrive. If the expiration time selected is too fast, the option will still end out-of-the-money even though your trading analysis is actually correct. This condition occurs because the analysis of price movements is less accurate. For example, you take a high / low option and place a "high" option with expiration time of 1 hour. But apparently the price takes 1.5 hours to be able to move higher than the strike price. On the other hand, expiry time placed too long will also bring losses to your options. This can occur due to changing price volatility or analysis errors in the strength of the trend. We can use the previous trading example with the expiry time selection at 2 hours. The price did rise after the option position lasted 1.5 hours. However, this trend did not last long. 15 minutes later the price starts to go down, and when your expiry time runs out the price is in a position lower than the previous strike price. Some brokers are trying to develop expiry time management services that allow traders to change the expiration time of the options they have placed. Recently, the management features of the expiry times have become a crowded facility offered by broker-broker binary options. Then, what are the services? Are there conditions specified to be able to use it? And when is the right time to use the broker's facilities? 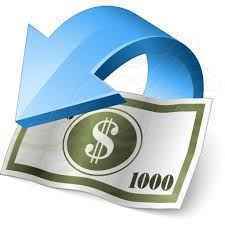 Rollover is a binary options broker facility that can add expiry time. This service is for traders who feel they have placed the expiry times too early. In the example of the trading above, you can use the rollover facility to add expiry time, which was originally only 1 hour to 1.5 hours or more. Meanwhile, the Early Closure has a function in contrast to rollover. 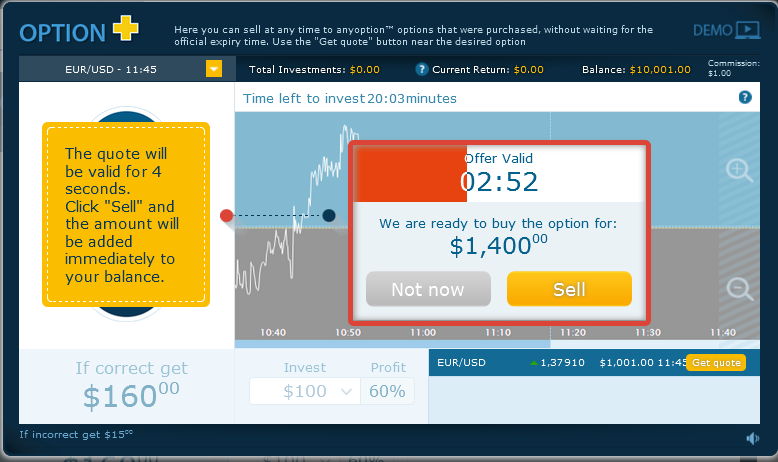 This feature can close option positions earlier than the expiry time you should. In trading conditions at several brokers, you can even close an option position with the Early Closure service. This automatically makes the Early Closure an accelerator expiry times. At some brokers, the initial closing feature is also known as Option +, where you can sell options that are executed at the price quote specified by the broker. When you decide to sell the option that is running, the options will be closed even though the expiry times have not run out. This type of initial closure is useful to minimize the risk of options trading which obviously won't end in-the-money. Although the rate of return can be lower than the total profit option that is successful, this method can prevent losses that arise if the option really fails. Therefore, this method can work effectively when you feel really unsure about your trading analysis. Most new brokers allow the use of rollovers if the remaining expiry time is less than 20 minutes. For example, if you place an expiry time at 17:00, a new rollover facility can be activated starting at 17:40. Some brokers do not provide trading fees, but deduct expiry time and charge it on similar options later on. Thus, this type of rollover has a function similar to Early Closure. The difference is in the storage of the remaining expiry times that will be given for the same options at a later time. Conversely, rollover is not good to use when the price has shown a movement that is contrary to the direction of your trading. Traders who take precautions while on the verge of loss tend to make more risky decisions. Therefore, if your options do not show a favorable direction of movement, you better use the Early Closure facility or wait until expiry time arrives. This method will be safer than having to add a rollover that imposes trading commissions but may not guarantee the success of your options. Early Closure can be used in any trading situation. The method of using this feature can be mandatory when you are absolutely sure that the price will move in the opposite direction when your initial expiry time is up. On the other hand, you are advised to think carefully before applying the Early Closure to an option that is in the path of failure. This method can be useful to give more time to evaluate and analyze trading for the placement of the next options. However, this can also be unfortunate if it turns out the price is in the right position when the expiry time expires at the time it should be. For this reason, trading capabilities in terms of analysis and appropriate decision making can greatly influence your potential profit. Meanwhile, the Early Closure that is launched with the Option + trading type only needs to be done when you believe the option will end out-of-the-money. This is because, the purchase price offered by the broker will always be lower than the return profit that can be obtained. For example, you trade Option + with a capital of $ 1000. With a profit rate of 60%, the possibility of a payout if your option ends is $ 1600. But when you see the applicable purchase price quote from the broker, the payment you get is only $ 1400. Thus, your potential profit can be reduced by as much as $ 200. Besides that, there is still a $ 1 commission that you have to pay as a transaction fee from your option selling process to the broker. The loss is indeed unfortunate if your option is still likely to end in-the-money. On the contrary, this option can bring profit if it turns out the price still stays in a position that is not in accordance with your trading analysis. At least you can still bring in $ 400 with the use of this facility. Another advantage of the Option + type is that the price quote keeps changing every 4 seconds. If you are not satisfied with a purchase price quote, you can continue to update the latest quote to get the most appropriate price level. To maintain the use of rollover and Early Closure as an expiry time control facility that can help limit trading risk, you need to consider the possibility of price movements more carefully. Do not allow the rollover or Early Closure to be applied to limit profit opportunities. The use at the right time will greatly help you anticipate the risk of failure, while the implementation that is less suitable can minimize the potential benefits that you can achieve. The calculation of the commission also needs to be considered specifically, considering that the use of improper facilities will actually waste trading funds paid as commissions from the utilization of rollover services or Early Closure.